We’ve all heard the scary statistics about the seemingly ever-growing levels of stress in our modern workplaces, but how can we learn to manage it? The old chestnut – too much work, not enough time. Working consistently long hours to cope with demands. Being paid a low salary and / or not being recognised for effort. No light at the end of the tunnel – lack of opportunity to grow skills or progress in your career. Feeling powerless to improve the situation, especially a lack of control, input or influence over decisions made that effect you. Unclear expectations of quality or output. Not being given the tools you need to win – be that equipment, skills, staff or budget. Trouble with co workers – failing to get along, bullying, personality clashes. Unsafe environment, either physically or emotionally – you’re exposed to damaging surrounds. 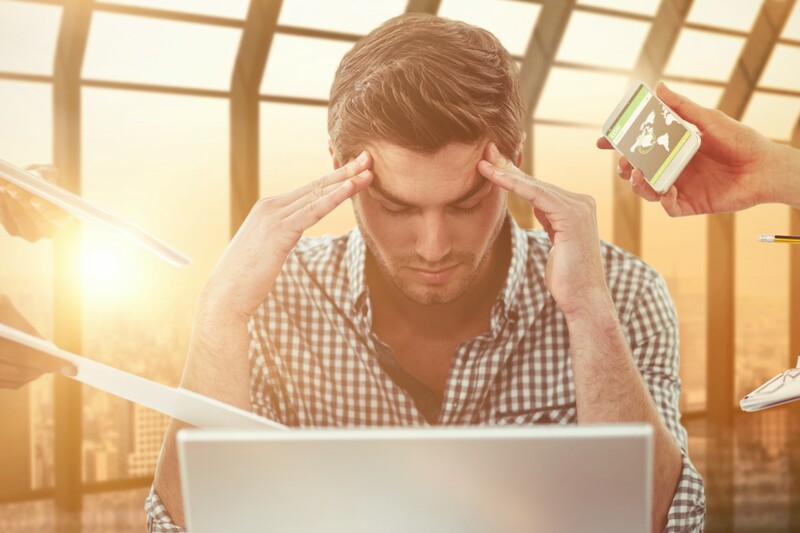 Work stress can be short term and relatively easy to deal with, like meeting a tight, important deadline, or longer term, when it becomes more of a problem and can cause real harm. Left unchecked, long-term severe stress can be a contributor to mental health issues including anxiety and depression, so it’s important to have some sensible stress management techniques in your arsenal. Seek balance One of the most important of the stress management techniques is to prioritize work-life balance – have some fun! Remind yourself what you’re working for by getting back to the good things in life – hang out with your mates or family, grab some tickets to an event or delve into a hobby. Book regular holidays, even if only for a 3-day weekend, to clear your head and reset. Become the Lord of your own destiny A sense of control is essential to manage workplace stress – feeling helpless is extremely damaging to your mental health. Review your situation objectively, including bringing in others if needed. Focus on the things that are in your power to control and make a plan to improve them. Let go of the things you cannot change. Make sure you include a goal in your plans – if you can see better times ahead after the goal is achieved, stress becomes a lot easier to deal with. Don’t be afraid to discuss workload (or other) issues with your manager. It’s okay to admit that things are too much. This includes learning to SAY NO (nicely) when you need to! It may also be possible to arrange for flexible hours – speak up and consult with others to find an arrangement that can work for all concerned. Clock off Switch off – think about removing email and other work items from your phone or home PC and try to keep work within the workplace. Set boundaries for yourself and others, including work hours, so it’s clear when you’re working and when you are not and stick to it. Having some ‘unconnected’ downtime is critical to controlling workplace stress and it may even help you perform better. Reach out Write down the issue to get it clearer in your mind and introduce a bit of proactive energy, then chat through it with someone you trust. Ask for ideas for how to manage things better. Many organisations also provide access to an employee assistance program (EAP) – take advantage! Most importantly, don’t bottle it up – leaving things unresolved is a sure fire way to send your stress levels skyrocketing. Get moving It’s often overlooked, but improving your physical health can help your mental health and is a big factor in being able to cope with stress. When things get a bit much, go for a quick walk, or even better, set aside some time in your day for a regular stroll. Aside from the physical benefits, many people find that walking offers a change of scene or distraction that helps them do their best thinking and strategizing. Give it a try! Catch some Z’s Having enough sleep is really key to helping your body and mind stay on top of stress. Try implementing a sleep routine including a consistent bedtime, avoiding ‘hyper’ activity in the hours beforehand and again, put the device (phone, PC, TV etc) down! Mind care The benefits of mindful activities like yoga, meditation and Tai Chi are well known for their great qualities for stress relief. There are hundreds of different styles and techniques so with a little digging you can find a style that suits you. Just using some of the breathing techniques taught in these disciplines can make an enormous difference and can be done anywhere, anytime! Do good Helping someone else can boost your mood instantly. Maybe call a friend to find out how they are going, or invite someone over for dinner. Donate to charity, or even better (once your stress is under control) consider volunteering – it takes your mind off work, gives some perspective and delivers proven benefits to your emotional well-being. Nature healing for anxiety, depression and stress Improving physical health can help your mental health Work-life balance Mental wellbeing for men Depression Men and emotions Remember, if you’re struggling with work stress and need professional advice, give one of our MensLine Australia counsellors a call on 1300 78 99 78 or register for online chat.